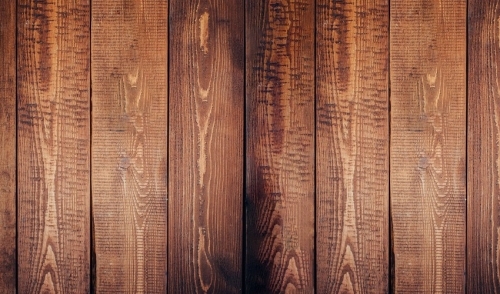 There are two-types of finish that you can use called polyurethane and urethane. Polyurethane is oil-based and tends to last longer. Urethane is water-based and looks a little bit more natural than polyurethane. Someone at your local store can help you determine what’s best for you. No matter which one you choose, make sure to wear a mask and have good ventilation due to the fumes. Use a four-inch brush and apply whatever finish you chose around the perimeter of the room. You don’t have to go out any further than the width of the four-inch brush. This step is just to ensure that you don’t hit the wall when you finish the rest of the room. Take an applicator pad and coat the rest of the room with the finish. Make sure that you work from an area with no exit to an area where there is one. Also, I know it’s tempting to use a roller, but it will leave bubbles that you don’t want in your floor. After letting the first coat dry, scour for any parts of the floor that may have a bubble or a bump sticking up. Lightly sand the area and vacuum the floor when you are done. Repeat steps 2 and 3 for when you apply your second coat. After letting the second coat dry overnight, repeat step 4 and then apply your third and final coat. Be sure to wash out your tools thoroughly when you’re done. After a few hard days of work, you have finally completed restoring your old, beat up floor. Looks great doesn’t it?